Shawn and Adam take a visit to NYCC 2010. If you’ve ever wondered what its like we’ll fill you in on everything, the good, the bad, and the ugly. Some pretty nice things get said aboutGB Tran, Eric Kim, Rick Spears, Tom DeFalco, Vertigo, Joe Simon, Jamie McKelvie and Kieron Gillen, and Ryan Kelly. Some fist shakes directed toward crowds, signs, tight dude costumes, and generally oblivious people. 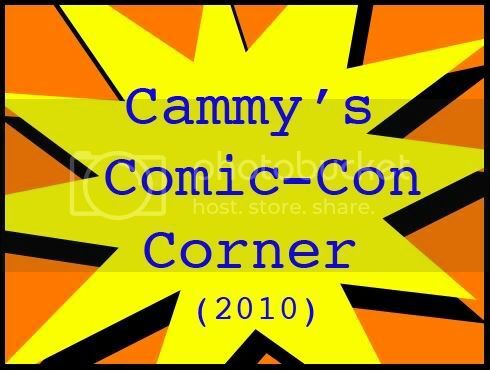 Join Cammy as he invites you to the floor of Comic-Con International 2010, bringing you all sorts of comic book goodness! Interviews include Cliff Chiang, Ryan Kelly, Pat Loika, Jason Howard, Rafael Albuquerque, Frazer Irving, Rich Johnston, Ryan Benjamin, Fabio Moon, Gabriel Ba, David Rodriguez, Patrick McEvoy, Chandra Free, John Layman, Rob Guillory, and Ben Templesmith.